Harmonize, vocode and more with this powerful vocal processor. 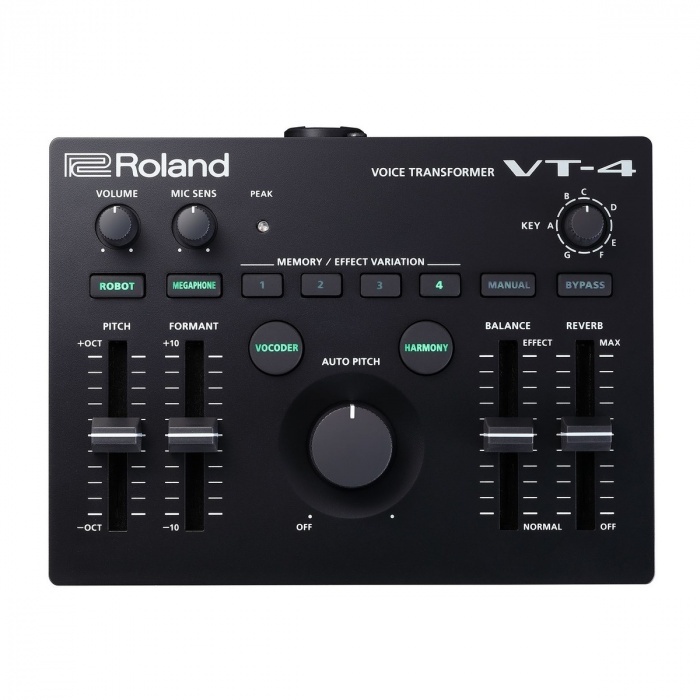 The Roland VT-4 Voice Transformer allows you to explore the depths of your vocal abilities with its versatile effects processor. The VT-4 Voice Transformer allows you to utilise your voice like the instrument it is. 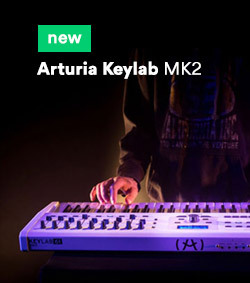 It allows you to implement effects such as harmonizing, vocoding, pitch shifting and hard tuning. Not only is it great for vocalists, but it can be used for beatboxing and live performances. The wide variety of genre-defying effects spans retro sounds to cutting-edge vocal effects. The quick-trigger effect buttons and flexible controls allow you to take full advantage of your voice. You can even achieve more unusual vocal effects such as a lo-fi sound using the Megaphone button. It also includes dynamic effects such as tape delay and vintage chorus to take your sound to the next level. Building on the success of the VT-3, the VT-4 Voice Transformer takes your vocal processing abilities to the next level. The human voice is not conventionally seen as an instrument, but with this powerful effects processor you get the most out of your vocal performances. The VT-4 gives you a wide range of controls to sculpt your own high-end vocal sounds. You can use the VT-4 to achieve a wide range of effects from subtle pitch shifting to complex transformative effects. It even features integrated dynamic effects for added versatility. Each of these effects features one-touch variations, so you can quickly choose between various vocoder effects, lo-fi effects and even multi-part harmonies. Chaining your effects allows you to create truly unique sounds. You can even hold down a preset button to save it for later use. 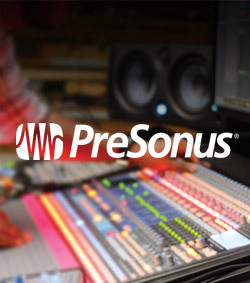 The smooth and ultra-responsive controls put you in the driver’s seat for controlling your sound. 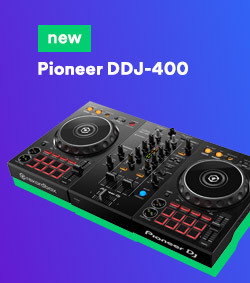 It is the perfect tool for live performances, beatboxing DJ sets, podcasting and even Youtube videos. The versatile controls allow you to utilise effects such as harmonizing, vocoding and hard-tuning. Harmonizing can be a great tool for singers, allowing you to add depth to your vocal performances. It works by virtually doubling up your voice in real-time. This gives the effect of multiple voices, harmonising in different pitches for a regal sound. The Vocoder effect is ideal for use with the onboard MIDI connectivity, playing alongside a MIDI keyboard for an 80s-style effect. It works by playing notes alongside singing or talking, automatically shifting the pitch of your voice to the notes you are playing. The vocoder features special functions such as spell toy, talk box and two classic vocoder settings. Hard-tuning is more commonly referred to as “auto-tuning”. This provides automatic correction of tone, represented by the large “Auto-Pitch” rotary control. As well as the performance-based vocal effects, the VT-4 includes a range of dynamic and transformative effects. The five effect sections are comprised of: Robot, Megaphone, Vocoder, Harmonizer and Reverb. The robot and megaphone sections are the most transformative effects available. The Robot takes after its name, mangling your voice to sound robotic and metallic. It features four different settings including: normal, -1oct, +1 oct and feedback. The Reverb section allows you to utilise dynamic effects, based on delays. 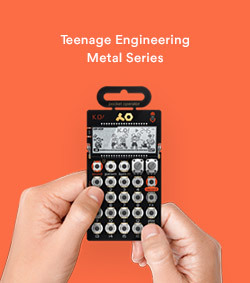 The settings available are: reverb, echo, multiple echo (tempo based) and dub echo. The formants and octave pitch controls allow you to transform your voice to sound more masculine or feminine. The VT-4 is the perfect live performance tool thanks to its onboard memory and portable size. The compact design makes it easy to fit within a backpack for easy transportation. The buttons features green back-lights which help in low-light environments. 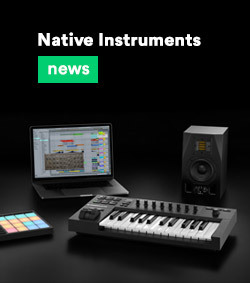 It can also integrate with other equipment such as MIDI keyboards. Plugging the unit into a MIDI keyboard provides expansive possibilities. 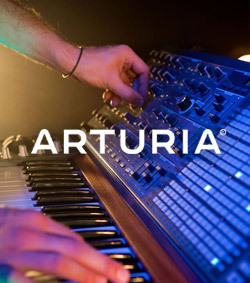 It allows you to control the harmony and Auto-Pitch as well as the vocoder engines. The USB connectivity allows you to use the VT-4 as a mini audio interface, ideal for use for podcasting, Youtube videos and even gaming. It features a dedicated headphone output and microphone inputs. It also has built-in Phantom Power for use with studio condenser microphones. You can power the unit with the included power supply or via 4 x AA batteries for ultimate portability. You can even power the unit via USB when connected to a computer for added flexibility.